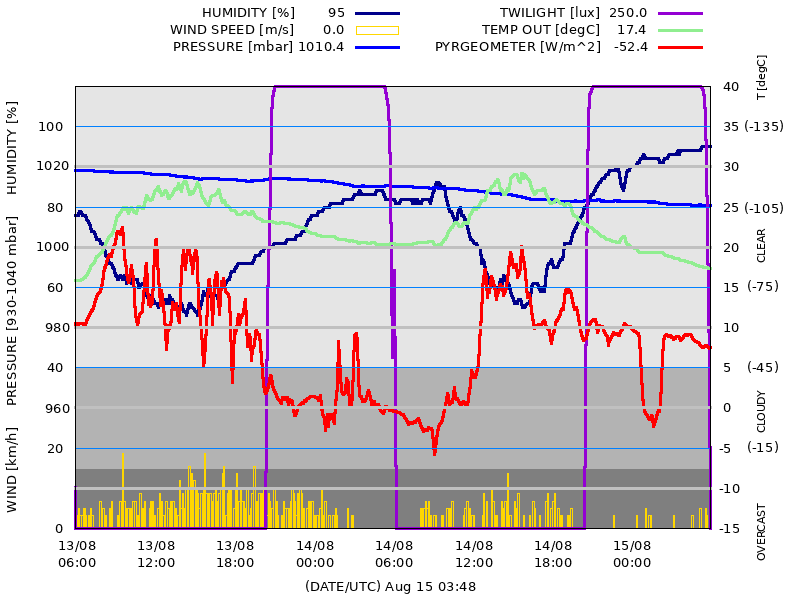 The graph shows data provided by the MUO Weather Station over last 30 hours. It also shows the brightness of the eastern, southern and western horizon. The plot is automatically updated every 5 minutes.